Electrik is the founder of the Psybotik parties in New York City, catering to an exotic audience with fashion, fire and cutting edge electronic music. 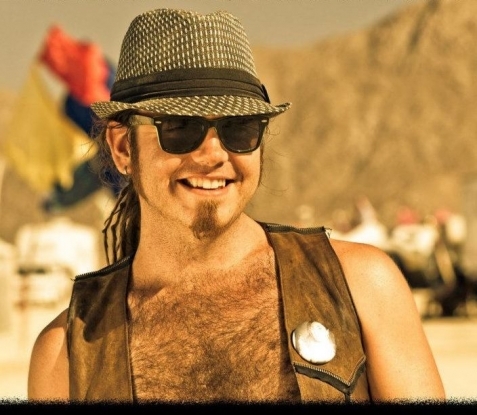 His style is dynamic but typically focuses on high energy dance music with psychedelic roots. Representing up and down the eastern seaboard as well as coast to coast in the US and internationally in Japan and Costa Rica. Sullivan Room, Tavern on The Green, Exit, Public Assembly, Burning Man, Coalesce, Equinox, Synchronize, Desiderata, Orb, San Sabastian in Puerto Rico, Rockwest in Tokyo, or Republik in Costa Rica...are just a few of the places you may have caught one of his astounding performances.